What's New on the 2019 Hyundai Veloster? The latest Hyundai Veloster comes with a unique exterior design. Along with aggressive and sporty styling, the 2019 Veloster is packed with outstanding technology and next-generation entertainment features. Which Trims are Available for the 2019 Veloster? The 2019 Veloster comes in five engine flavors: 2.0, 2.0 Premium, Turbo, Turbo R-SPEC, and the Turbo Ultimate. 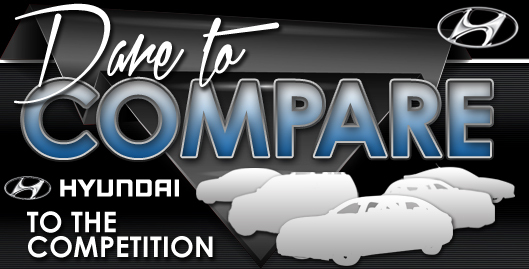 The five trim levels are across two models which include the first turbo and the high performing N variant. Design notes include, functional air curtains on the front fascia, a larger fender that's more stretched than the previous generation. The 2019 Veloster has a lower and visually faster roofline that is accented by a beltline that sweeps up to meet it. Its rear diffuser wing is more distinct, and it is well seen in both the N variant and also the particular turbo. The new Veloster has a beautiful interior with unique colors and materials to each trim level. 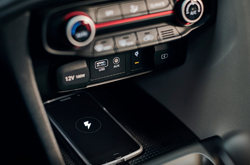 The 2019 Veloster features the Hyundai BlueLink, which use apps that allows the owner to lock or unlock the doors, remote start and use Apple CarPlay on a 7- inch color screen. Hyundai BlueLink also provides car care data such as Automatic Crash Notifications and Monthly Vehicle Health Report. The Veloster turbo is a 1.6L turbocharged 4-cylinder engine that provides 201 horsepower and 196 lb-ft of torque at around 1500 rpm. There's no need to use higher octane fuel as the power of this turbo model is rated when using regular octane fuel. A 6-speed manual transmission comes standard with an optional automatic 7-speed dual clutch available. The Hyundai Veloster N model features a 2.0L engine that is capable of pushing out 275 horses at 600 rpm and torque of 260 pound-feet from 1450 rpm to around 4700 rpm. The N model comes standard with a manual six-speed transmission with a downshift rev matching. The Veloster turbo model uses front suspension containing coil springs, gas-made shock absorbers and a stabilizing bar that is about 24 mm diameter wide. 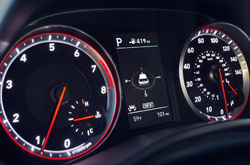 Other important safety features of the 2019 Hyundai Veloster include a forward collision avoidance assist, blind spot collision warning, lane keep assist, rain sensing wipers, anti-lock braking system with 4-wheel disc brakes, tire pressure monitoring system. The models also have strong cornering components that assist during hard turns. The new Veloster also has different airbags for the driver and the passenger, including side-curtain and others. Visit Reliable Hyundai today to test drive the Veloster and get a feel for why this should be your next Hyundai. 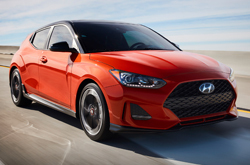 What Is New With The 2019 Hyundai Veloster And Veloster Turbo?